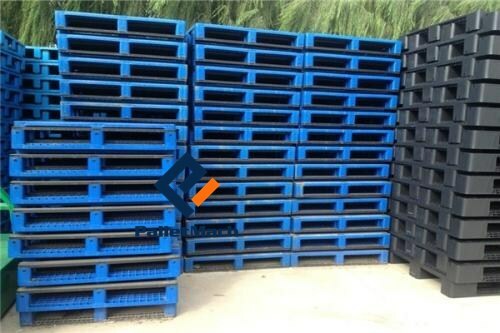 Stackable plastic pallets are very popular in logistic and warehouse industries. While stackable plastic pallets are quite self-explanatory, it’s not always clear what make nestable plastic pallets different. 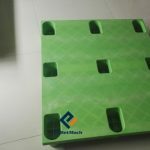 In essence, it’s very simple – nestable plastic pallets sit tightly together when empty, with the ‘feet’ sitting inside the pallet beneath. The stackable plastic alternative sit on top of each other, while they may not be as space efficient when empty. And they do come into their own when loaded. As to which plastic pallet is best, well that depends on what you’re moving or storing, and where you’re doing it. Stackable plastic pallets are designed for shelving and storage when loaded. If you want to stack while loaded or store them in racking, stackable pallets are what you need. Popular with warehouse supply chains, their solid base means they can be stored in a variety of shelving configurations. And some can be stacked on top of other loaded pallets. They are designed to be strong to enough to manage heavy loads and to remain stable when stacked. Vertical stacking allows much more of the available storage space to be used. It is crucial when dealing with large amounts of stock or big items. The base can be designed differently according to its intended use, such as with runners. And stackable plastic pallets also sit closely on top of each other when empty. Remember that stackable plastic pallets need to be fully supported when loaded and in racking. Here we weigh up the features of nestable and stackable pallets and help you decide what’s best for your business. Nestable pallets sit closely together, saving you space when storing them empty. Nestable pallets can reduce your storage space by as much as four times, since they’re designed to fit together much more closely when not loaded. This allows you to stack a higher number of empty pallets without taking up more room, or enables you to reduce storage costs by using a smaller facility. Your cost savings don’t end with storage. Freight costs can be significantly reduced on the return leg, as your shipment requires less space. It is extremely helpful in closed-loop supply chains, where the pallet is recovered by the same organization without a return load. What else should you consider when selecting the right pallets? It’s crucial that your plastic pallet can hold your goods both in transit or storage. 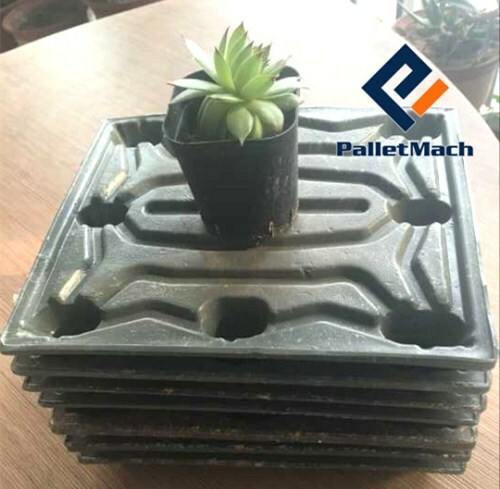 Commercial plastic pallets come with a maximum weight. And it’s important you keep this in mind to avoid damaging your pallets and goods. Checking pallet size is also important to make sure it will fit into racking or other storage facilities. And that your larger products will sit comfortably on top. Depending on what you ship and where you send it, sanitation may be a priority. Pallets that carry food or pharmaceutical products need to be easy-to-clean and sanitise without risk of moisture retention or mildew. Plastic pallets are an excellent choice where hygiene is important. And they can make getting through customs simpler than when using wood as there is less risk of infection. 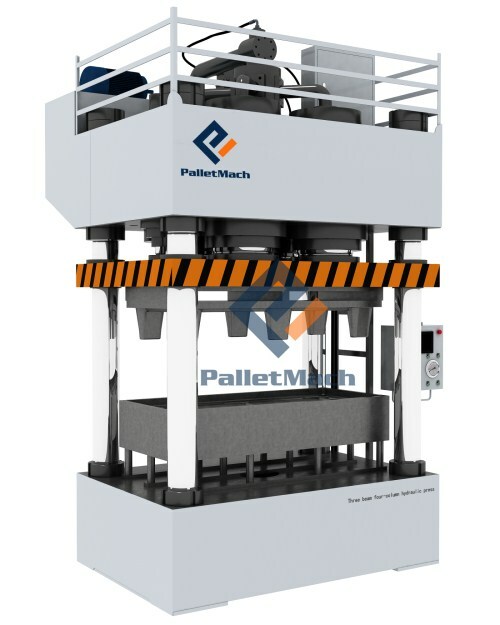 PalletMach is the leading manufacturer of stackable plastic pallet machine in China. And we can help you to build high-quality plastic pallets. Contact our friendly team today to discuss which of plastic pallets will be more profitable. Thus, we will provide a better solution you need. You not only can deal with plastic wastes, but also can gain more money. 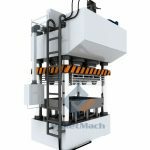 If you want to get more information, please send email to us sales@palletmach.com. 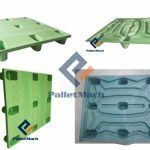 Why are Moulded Plastic Pallets Important in Pharmaceutical Shipping?